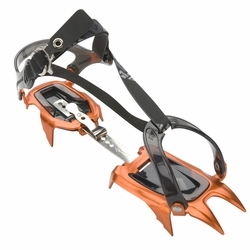 Black Diamond Neve Crampons. A lightweight 10-point aluminum crampon for snow climbing, the Black Diamond Neve pushes the envelope in fast-paced performance and minimal weight. From long glacier approaches to ski mountaineering, the Neve's aggressive design keeps you moving quickly and confidently over steep, snowy terrain.